This die cut neon porcelain sign is double sided and navy blue. The sign measures 47″ by 63″ and has white text. 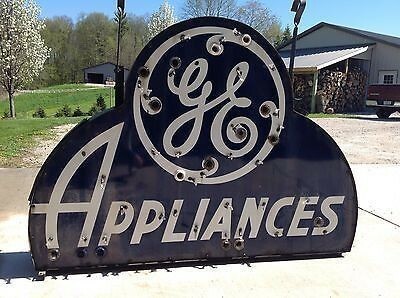 The sign’s text reads “GE Appliances.” The lower portion of the sign is a half circle, and there is a circular part added to the top.